BlueScope Distribution offers a comprehensive selection of aluminium products throughout Australia, making us one of the leading aluminium suppliers in the country. Our product range includes sheet and coil products, plate, treadplate, both geometric and customer-exclusive extrusions, as well as the full range of standard aluminium products. Available in a range of alloys and tempers, we supply a broad range of industries including automotive, transportation, marine, construction, and general engineering and fabrication. Aluminium has many advantages including the fact that it is lightweight, strong, and generally resistant to corrosion. In addition to being formable and relatively easy to weld, it is readily available and 95% recyclable. While we are aluminium suppliers, we also offer a wide variety of pre-production processing services that will enhance our customers’ productivity and profitability. These include marking, drilling, shearing and blanking, slitting, sawing, router and laser cutting, and guillotining of both plate and sheet aluminium. Alloy 6063 & 6060 Alloy 6063 has a slightly higher magnesium content than 6060, which is one of the most common 6xxx alloys. Frequently used to produce the full range of standard products including flats, channels, angles, and both square and circular hollows, they have the ideal properties for the production of intricate custom-designed sections. Both alloys have good mechanical properties and have exceptionally good resistance to corrosion because the percentage of magnesium used is very low. They are also ideal for anodising. While these alloys have average machinability, they are perfect for welding. If structural welds are required, gas metal arc welding (GMAW) and gas tungsten arc welding (GTAW) are generally recommended. Alloys 6063 and 6060 are versatile metals and may be used for anything from electrical components to architectural applications including window and door frames, as well as lighting, furniture, railings, and fences. Alloy 6061 A heat-treatable alloy with good weldability and resistance to corrosion, 6061 has medium to high strength. Also good for fabrication applications, it has only average machinability. Commonly used in transport-related industries, it offers medium fatigue strength. It is also used to manufacture frames for trucks and bull bars, and is suitable for marine and other structures. Alloy 6005A Classed as a structural alloy, 6005A has excellent extrusion characteristics and produces a good surface finish. Like 6061, it is used for transport applications and is particularly good for fabrication. It can be welded using the full range of processes but also has only average machinability capabilities. Because this alloy can be extruded to create intricate shapes and its surface-finish properties are so good, it is commonly used for structural architectural products. Alloy 6106 This is a heat-treatable aluminium alloy that has similar qualities to 6005A, namely medium to high strength, a good surface finish, resistance to corrosion, and both good weldability and extrudability. It can also be formed in T6 and adjusted through different tempering. Unlike the previous alloys mentioned, 6106 also has good machinability which adds to its versatility. Commonly used for general purpose light structural applications, this alloy is ideal for relatively intricate products that might require some degree of welding and forming while maintaining a superior surface finish. It is often used to manufacture ladders, pylons, balustrade posts, and both automotive and marine structures. Alloy 6082 A high-strength aluminium alloy that has exceptionally good corrosion resistance, 6082 is used for all common welding processes and is great for fabrication. It has good machinability and is commonly used in plate form for machining. Alloy 6082 has a particularly high manganese content which enables superior control over the grain structure of the metal. On the downside, 6082 has limited capabilities for extrusion and its surface finish is not as good as 6005A and 6106. Mostly used in the marine and road niche of the transportation industry, 6082 is becoming increasingly popular for civil engineering and construction. Products made from this category aluminium alloy include truck bodies, boats, automotive components, bridges, and roof trusses for different types of buildings. Alloy 5005 Available as a rolled sheet or coil alloy, 5005 is the softest of all the 5xxx series aluminium alloys. It has low levels of magnesium which gives it excellent corrosion resistance. Suitable for forming and welding of all types, 5005 doesn’t machine well. This alloy is commonly used for general fabrication and is very versatile. Typical products manufactured using 5005 are transport and architectural products, as well as signage. Alloy 5052/5251 Alloy 5052 contains 2.5% magnesium and 0.25% chromium and is available in sheet, plate, and flat-rolled coil. 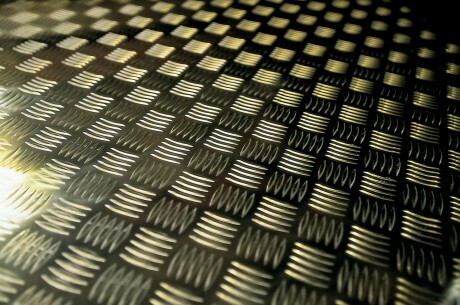 It is also produced as treadplate for industrial applications. It is non-heat-treatable but can be hardened by cold work, for instance, cold rolling. A number of “H” tempers are produced from this alloy including ¼ hard H32 and ½ hard H34. Alloy 5251 is commonly offered as an alternative to 5052 because their composition and properties are similar. These alloys are excellent for all common types of welding processes as well as fabrication, particularly when sheet or coil is used. However, they both have poor machinability. Alloy 5052 and 5251 are versatile products and are used for products that range from signs and architectural flashings to furniture and food processing items. They are also used in the marine and transportation industries. Alloy 5083 Known for the exceptionally good performance it delivers in extreme environments, 5083 is ideal for general industrial environments. Because it is highly resistant to the detrimental effects of seawater, it can be used in marine applications too. Common uses include pressure vessels, drilling rigs, ships, rail cars, and truck bodies. It is also used in a range of civil structural applications. 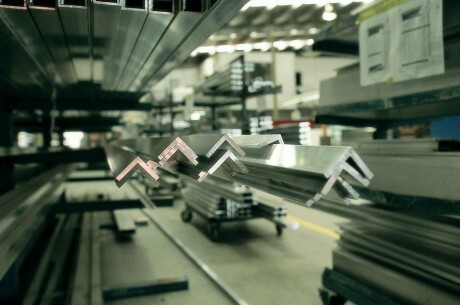 BlueScope Distribution also sources a wide variety of extruded and rolled aluminium products. All our products comply with the relevant Australian standards.